This singular incidence got me thinking however, little did i know today is world sickle cell day. So i celebrate all sickle cell patients worldwide, i greatly applaud you for the efforts, struggles and battle for life. I pray God would continually strengthen you and for all those that have faith, God would miraculously heal you. I also say Adeiu to Bro Sola (the deceased earlier mentioned) as well as other who have fallen to this disease. become hard, sticky and shaped like sickles used to cut wheat. When these hard and pointed red cells go through the small blood tube, they clog the flow and break apart. This can cause pain, damage and a low blood count, or anemia. 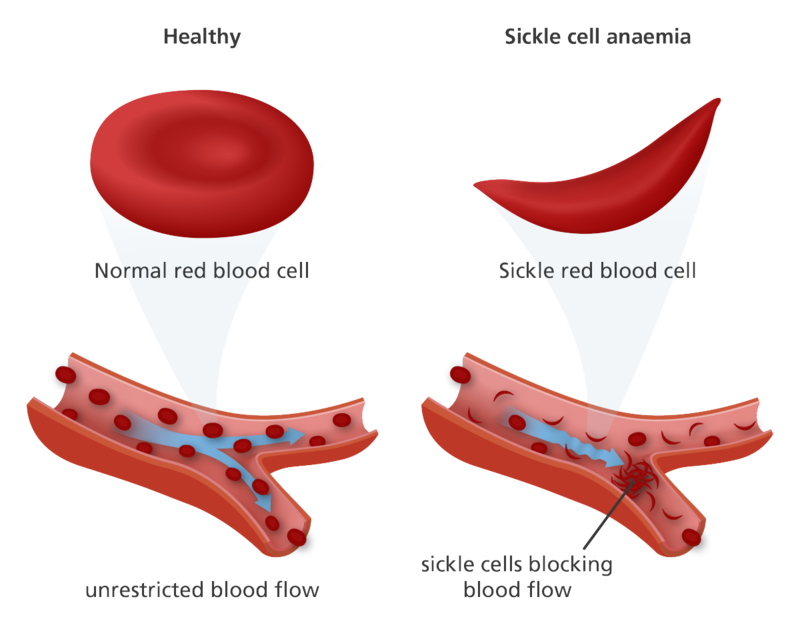 rods change the red cell into a sickle shape instead of the round shape. 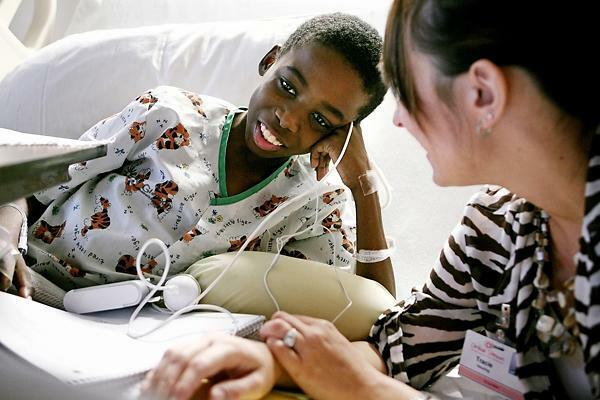 Sickle cell as has being established is only gotten from Parents. I know its so easy to blame the love birds for forsaking all odds and getting married despite obviously medical incompatibles. But some got married in faith while largely many in ignorance. But the deal has being done, the tide can hardly be changed. Even though we may not realize it, “sickler” is a negative, derogatory and condescending term that we MUST stop using – it does more harm than good for our society. We have sickle cell warriors not able to come out to friends and others about their struggle with sickle cell due to lack of compassion from society. Following experiencing the worst pain imaginable, my new doctor explained to us that what I was experiencing was a pain crisis episode. I, at the age of 13 first thought to myself after; “I’m a sickler”? How? Why? No!!??! OMG nobody can know! – they fight fiercely every single day to live as normal as possible while dealing with the disease – funny how I had known about the term even before knowing anything about the disease; and I’m sure that’s not peculiar to just me. Although some may not share Ibi Ayeni’s view and still hurl blames on her/victims parents, i sense a great need to show love, care and encouragement to these warriors particularly as they war against the fate of their destiny. While we take our grounds on medical compatibility, I have even heard of SS patients who achieve great feats, get married, have kids. Etc. But be sure God is leading you oh. But I strongly suggest that if you can’t handle the pressures of the care for this patients, please don’t get married to them. But please be their friends, don’t discriminate against them. To families that have lost their loved one to this disease, I pray God would comfort you and give you beauty for ashes. To all SS patients out there, who often blame their parents for bringing them into this world, to face untold hardship, emotional pain and retardation especially during their crisis, God has a purpose for your life, before you were ever born he had known you, and destined you for greatness. Don’t Lose hope, keep shining, go for medical attention as often as possible particularly in clinics where your peculiarities/medical history is known, trust God and take all precaution. From me, I love you pieces and I celebrate your destinies. Salutes to you great warrior. This is so on point. The stigma is much but there are many people living with it and doing so well especially in show biz. Couples shouldn’t be blinded by love but do the needful. It’s better to be safe than sorry.